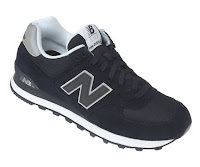 The Classic Style New Balance Shoes 574, still as cool as the new sneakers around our time , its classic design is timeless, suitable with almost any attire except formal attire of course, you can wear this New Balance shoes for walking, running, at the gym or a night out. Just like what Nike is promoting right now the Air Max 90 they are almost the same but with the design I'd go for this New Balance Shoes 574. The design of this retro classic shoes are one of the trends today. Okay let's agree with me with the looks of this shoes, but you ask how well do this New Balance shoes perform, I can tell you this New Balance Shoes are very comfortable, of course they're not Nike Free's but the comfort of this shoes is one you won't complain about and because this New Balance Shoes has the Encap technology which designed for people who really pound their feet, your feet will surely feel safe with it . 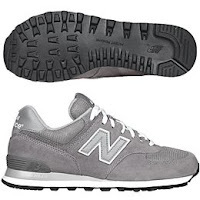 When talking strength of this New Balance shoes I would say one pair of this New Balance shoes can last equally or more to 2 pairs of Nike Free. 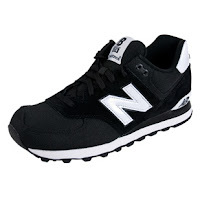 This New Balance shoes 574 is one of the shoes you guys must check out, or better yet buy.